An 8-year-old right-handed girl manifested aphasia after bilateral thalamic infarcts. 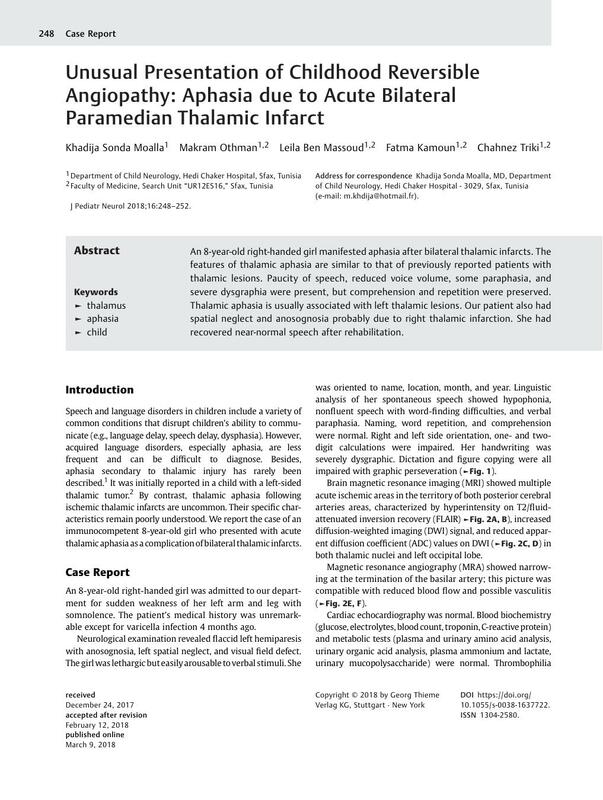 The features of thalamic aphasia are similar to that of previously reported patients with thalamic lesions. Paucity of speech, reduced voice volume, some paraphasia, and severe dysgraphia were present, but comprehension and repetition were preserved. Thalamic aphasia is usually associated with left thalamic lesions. Our patient also had spatial neglect and anosognosia probably due to right thalamic infarction. She had recovered near-normal speech after rehabilitation.